A large number of Trimble Thunderbolt GPS Disciplined Oscillators (GPSDO) appeared on the surplus market in 2007 and 2008. A select quantity of these are now available at low cost at TAPR Trimble Thunderbolt Kit. 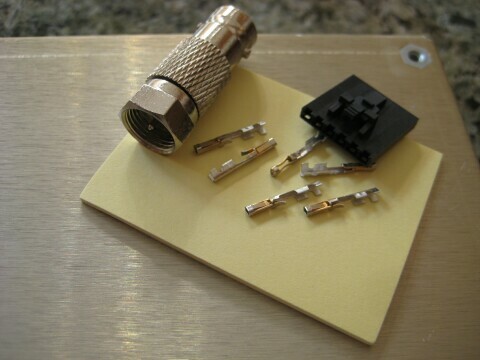 Some kits may include a professionally crimped pre-wired connector instead of just a bag of connector parts, as shown below. All TAPR Thunderbolts have been tested by tvb for oscillator stability. Units with poor performance (excessive phase noise or substandard Allan deviation or mechanical problems) were set aside. 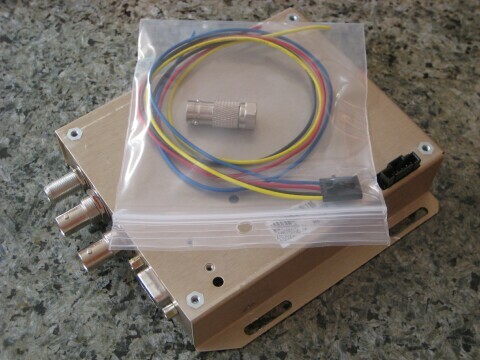 A DB9 RS232 cable is optional. These GPSDO work whether you use a PC to control or monitor them or not. 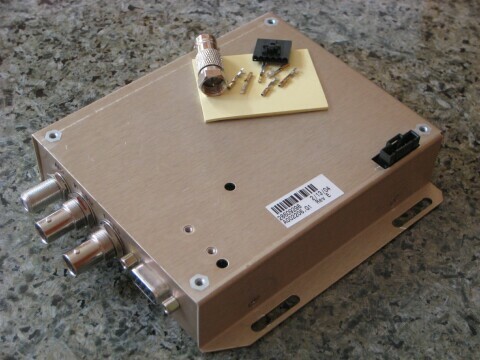 The pieces to build the special DC power connector are included as shown above, and below. 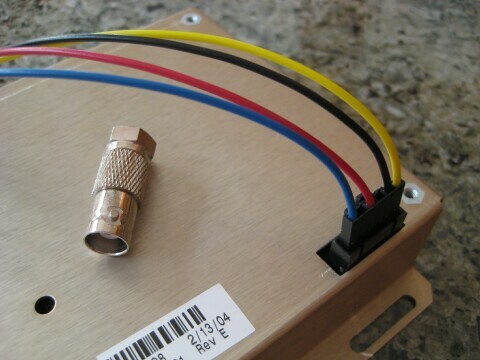 Connect your own wires to the included crimp pins. In this example (following PC power color conventions) yellow is +12V, black is common, red is +5V, and blue is -12V. The triple-output (+12/+5/-12 VDC) universal input (100-240 VAC) power supply that TAPR ships with each Thunderbolt have been well tested.